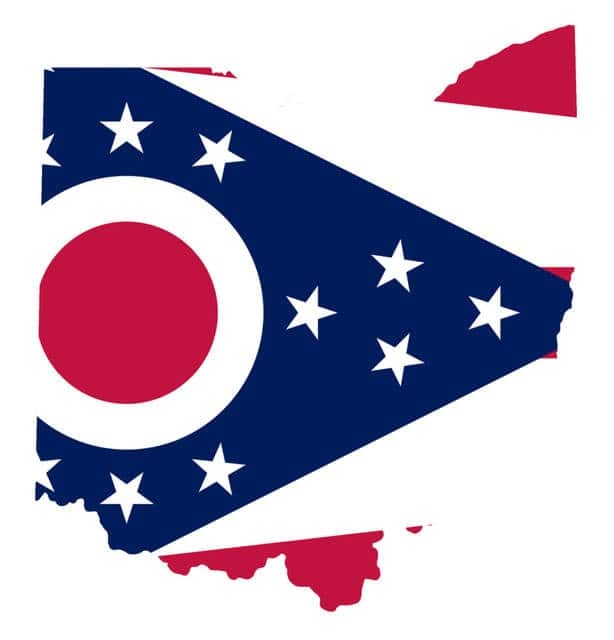 COLUMBUS — An Ohio prosecutor says seven people have been indicted on charges they voted illegally because they weren’t citizens. Franklin County Prosecutor Ron O’Brien says the seven registered and voted in the county that includes the city of Columbus during elections in 2012, 2015 and 2016. O’Brien, a Republican, says his office also investigated several non-citizens who registered and voted but had also checked a box on a questionnaire indicating they were not citizens. O’Brien says those individuals weren’t prosecuted but were removed from the voter rolls. The prosecutor investigated the allegations along with the Ohio Secretary of State and the state Bureau of Criminal Investigation. COLUMBUS — The Ohio Supreme Court has upheld the death sentence for a man convicted of fatally shooting a man during a robbery. David Martin was sentenced to die for the 2012 slaying of 21-year-old Jeremy Cole and the attempted murder of 30-year-old Melissa Putnam at Putnam’s house in Warren in northeastern Ohio. Wednesday’s court ruling says the 33-year-old Martin shot Cole between the eyes after stealing his phone and forcing him into a bedroom in Putnam’s house. The ruling says Martin then shot Putnam, who survived. The court rejected arguments from Martin that incriminating statements he made to U.S. marshals and a police officer should not have been used at trial. Justice Judi French says Martin’s sentence is in line with death sentences handed down for equivalent crimes. CLEVELAND — Police in Cleveland say a woman stabbed her boyfriend several times after finding him naked on top of her 12-year-old daughter. Cleveland.com reports the 31-year-old man was stabbed five times in his chest and once in the back of his head at a home in Cleveland early Tuesday morning. A police report says the woman told investigators she was going to bed when she found the man on her daughter. The report says the woman grabbed her pocket knife and attacked him. Both the woman and her daughter suffered cuts on their hands during the struggle. Neither the woman nor the man has been charged, but records show police are investigating a potential sexual assault. GARFIELD HEIGHTS — Police say a pursuit of suspected bank robbers in suburban Cleveland ended with a crash that killed one person and injured several others. The robbery was reported Thursday at a bank in Garfield Heights. Police say the fleeing suspects struck two police vehicles during the chase, injuring an officer and a police dog, but continued driving and crashed into another vehicle. One of the suspects was taken to a hospital and pronounced dead. Two others were hospitalized with injuries that were not considered life-threatening. A person in the other vehicle was also expected to survive. KENT — An Ohio mother has been arrested after the death of her 3-month-old daughter. Twenty-two-year-old Samantha Knisely was arraigned Thursday on a charge of child endangering. Police responded to a home in Kent on Wednesday after a man called 911 to report an infant not breathing. Kent Police Lt. Mike Lewis tells the Akron Beacon Journal it appeared Knisely was sleeping in the same bed as the infant before the child’s death. He says police are continuing to investigate, but he believes the death was preventable. The newspaper says Knisely could not be reached for comment. CLEVELAND — Police in Cleveland say a shooting at a vigil for a man who was shot to death four years ago has left a 27-year-old man dead. The shooting Thursday night happened as a group gathered on Cleveland’s east side to remember Antonyo Howard, who was shot at the same spot in 2013. Police identified the victim of Thursday’s shooting as Devon Youngblood. Investigators say they found close to 20 shell casings at the scene. They have not released any information about a suspect.